Sometimes, you need to sew a chemise and you don’t really want to spend a lot of time on it. Either you’re out of time, or the thought of sewing just one more chemise in your life inspires a sense of soul-crushing despair. Anyway, I’ve worked out a couple tricks over the years to get the stupid things sewn as quickly as possible, with a bare minimum of hand work, so that they still come out looking decent. You’ll need a chemise pattern. 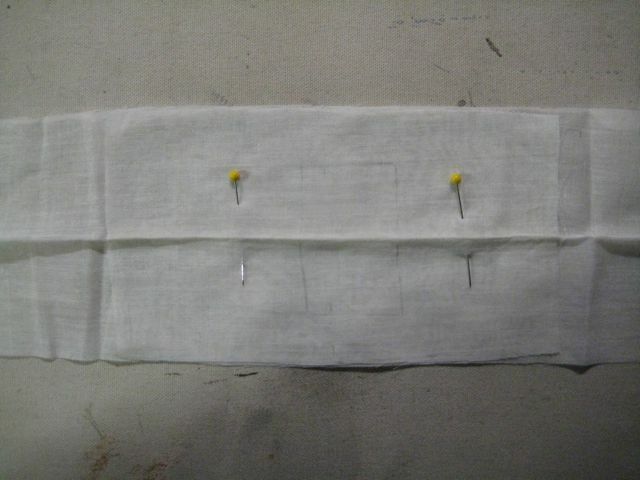 I’m using a basic square necked chemise pattern. 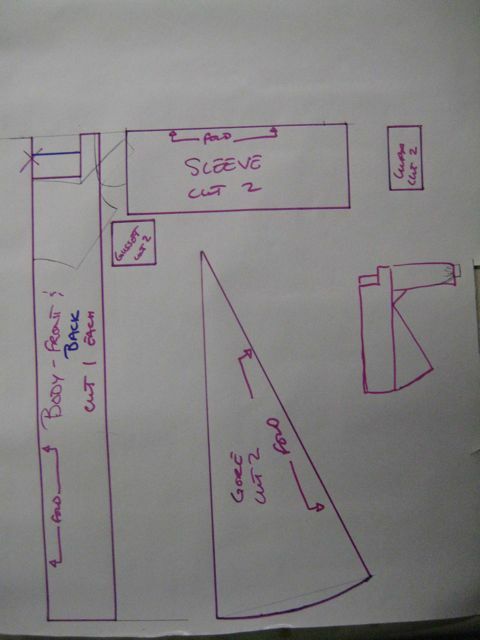 Here are the pieces for my chemise, and a sad little sketch of the intended product. This pattern has been carefully worked up with an underarm gusset. That’s fantastic for authenticity, but it’s really going to slow me down so I’ve decided not to do it. Instead, I’m applying my favorite sneaky underarm gusset cheat to combine the gusset and sleeve pieces into one self-gussetting piece of joy. The idea is to assemble the pieces so that we're left with just the side seams at the end. That will look something like this. If you want to sew something fast, or you want to be able to make it sizable quickly (like, you know, if you’re working in a theater), then you want to steal a page from the pret-a-porter workhouse assembly book and do the side seams last. It’s a huge speed-up, because you’re doing most of your assembly flat. 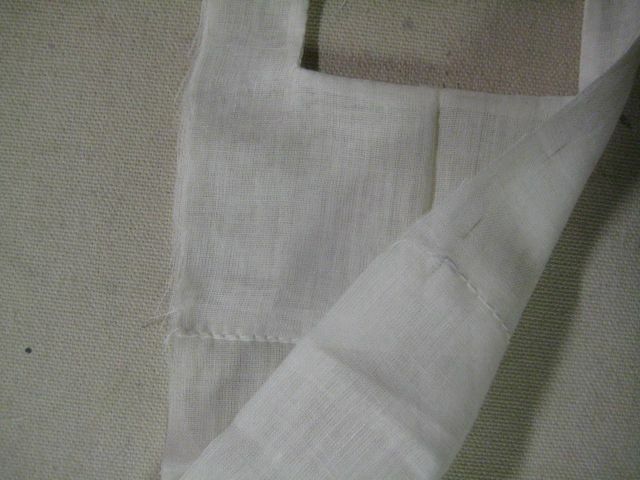 It makes it easier to fudge a sleeve set, because any “extra” sleeve that didn’t get eased into the armscye properly can simply be cut off – usually when the side seam is serged. (This is also why low-end jackets are often off in the fitting of the shoulder.) 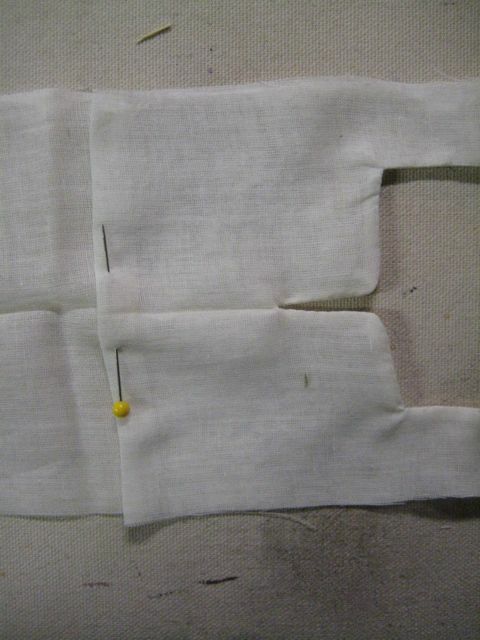 If you’re working on making something sizable, you can leave a larger seam allowance (1″ will do) at the side seam. The garment can be sized up or down just by opening and altering the side seam – no resetting of sleeves required. So, side seams are great. Use them wisely, and always for good. Now, about that chemise…. The next thing that can possibly slow me down is the neckline. I would normally have to bind it with bias (fiddly) or use a facing (which can flip out, or needs to be hand-tacked). Instead, I’m going to self-line the body of the chemise down to the waist. This is going to solve a lot of my problems. I’ve cut the full body of my chemise in one piece from front hem to back hem. (This is easy for a dolly, but also totally possible for a person. Why make shoulder seams if you don’t have to?) I’ve cut a second piece that’s the same, but only goes from front waist to back waist. 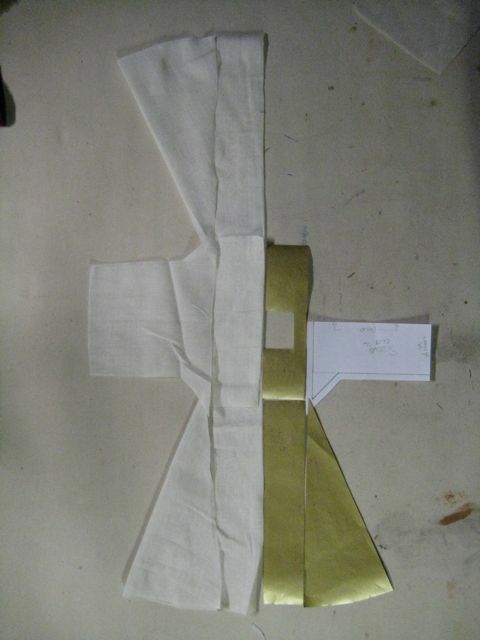 Line up the body and the lining, right sides together, so that the necklines match. Sew around the neckline. I've added a little vent in the back (left). Cut away the fabric inside the neckline. Snip into (but not through) the corners, and cut down the back vent. 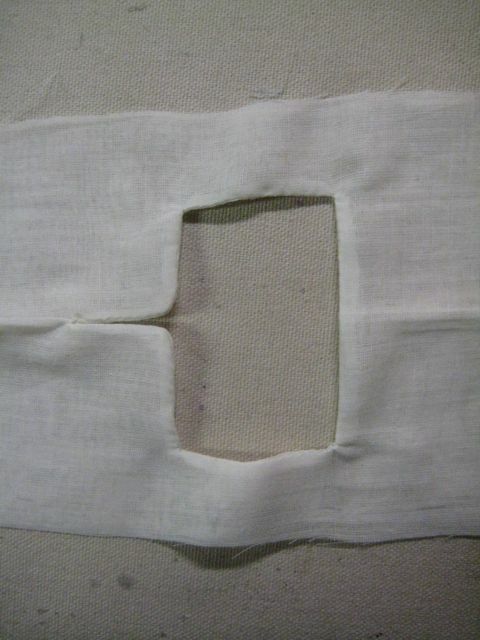 Turn the lining to the inside, through the neck opening. Smash it flatish. 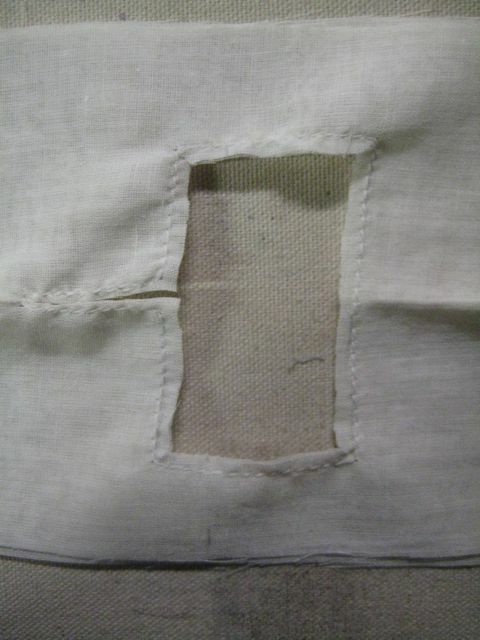 Sew the lining down to the body, with the raw edge of the lining tucked up neatly. 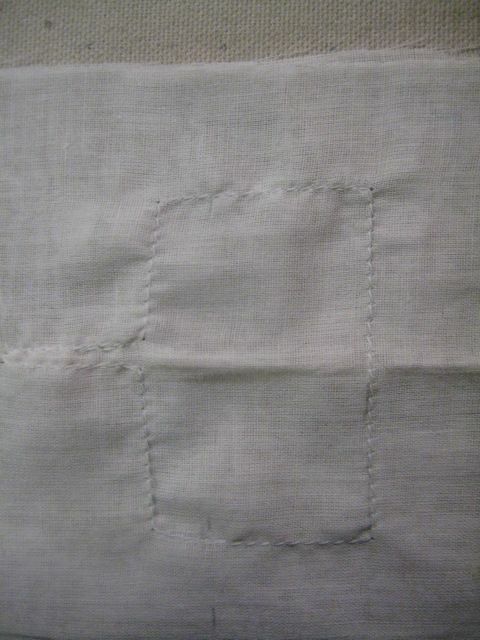 If you're using the right side of the chemise as the outside, you'll see only a single line of stitch. I just decided that I rather like the look of the inside, and I'm now going to use it as the outside. I do things like this a lot, especially when it doesn’t really matter with the fabric I’m using. I have some sort of advanced dyslexia that extends to right-side wrong-side issues…. I used this same “no shoulder method on a handwoven wool gauze. Not too many cuts for that fabric lol. had photos in 1 book of the original clothing, and then a breakdown of the fabric , construction, seaming pattern. The chemise in the book had reinforcments from arm to shoulder along top, and also on chemise body where sleeve attached(21’strip).